Philadelphia-based premium meats and cheese manufacturer Dietz & Watson has recently launched a new product posed to be consumers’ new go-to game day snack, Dietz Nuts. Originally concepted as a Super Bowl stunt and a play on the brand’s name, the company worked closely with its agency of record, full-service creative agency Red Tettemer O’Connell + Partners (RTO+P) to actually bring the product to shelves after realizing there was whitespace in the market. Dietz Nuts marks the first-ever “meat nut” snack for Dietz & Watson and the world. Dietz Nuts are protein-packed, savory sausage bites. The recipe is based on their traditional European landjaeger, dried and cured to snackable perfection. The phrase “Deez Nuts” originally broke into pop culture on Dr. Dre’s 1992 album, The Chronic. Since then, it has become one of the most used memes on the internet. Most recently, “Deez Nuts” ran as an Independent candidate in the 2016 presidential election and polled as high as almost 10% in North Carolina. To create awareness around the launch and drive sales, Dietz & Watson has also unveiled a new advertising campaign created by RTO+P. Running primarily on digital and social platforms, a 30-second spot sits at the center of the effort. 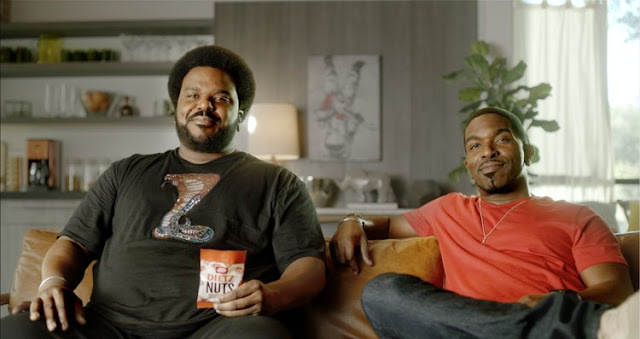 The spot features comedian and The Office alumnus Craig Robinson having a casual conversation with his brother, Chris, about how the new snack food makes the perfect game day treat. But because Dietz Nuts has a rather unusual name – and it’s the world’s first Meat Nut – the pair runs into a bit of trouble keeping the conversation straight. This execution marks RTO+P’s fourth for Dietz & Watson and functions as part of the brand’s broader “It’s a Family Thing” campaign, a platform which first launched in May 2018. In addition to the digital and social push, the campaign will include in-store elements and tap celebrity influencers from the music and entertainment world to test out and promote the new product. Dietz Nuts will be available on Amazon Fresh, Amazon Prime Now, and Dietzandwatson.com, just in time for Super Bowl Sunday.